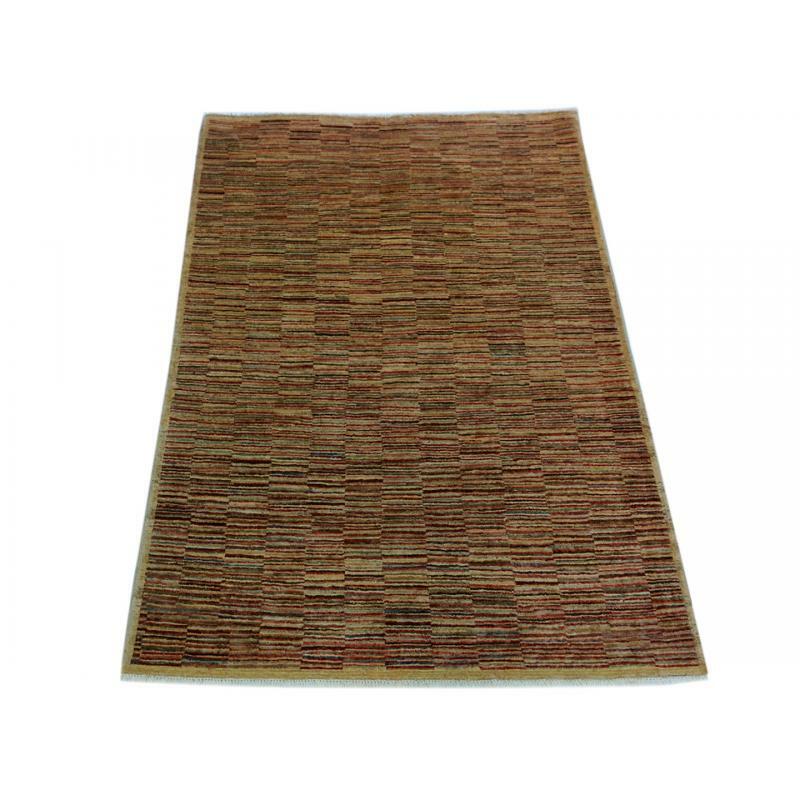 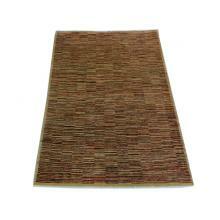 This exclusive vegetable dye, Chobi rug in classic stripe design will take your breath away. 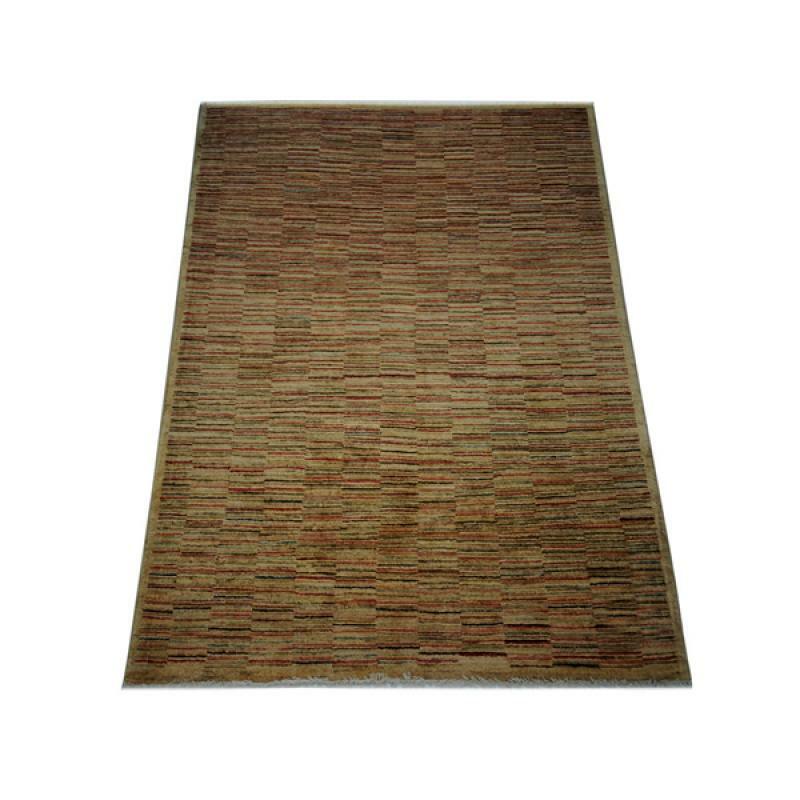 Handmade and hand knotted with unique details, this gold coloured rug will definitely enhance your flooring. 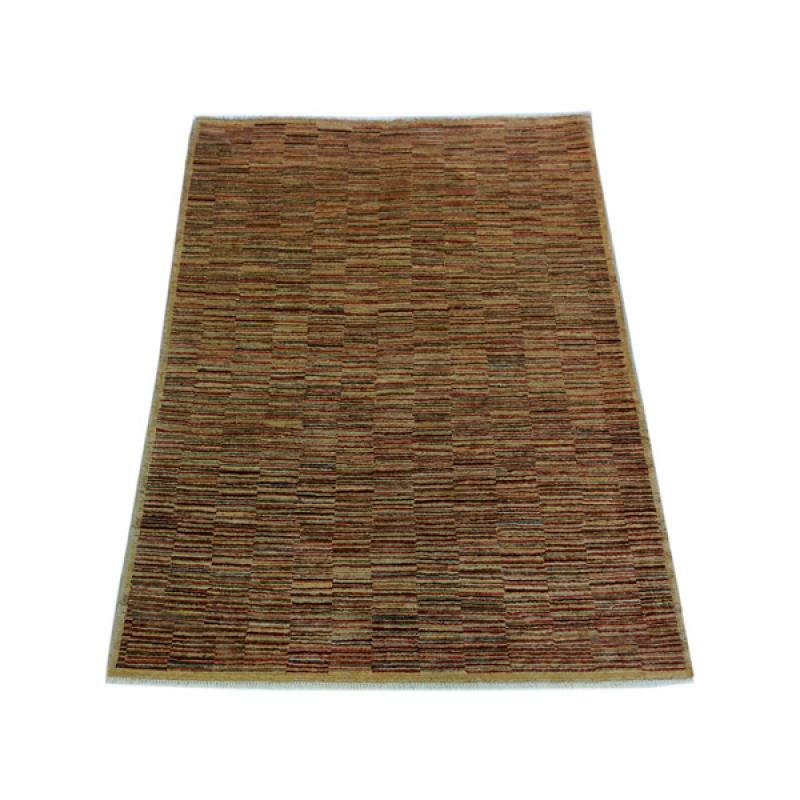 Measuring, 4' x 5'10" ft., This rug is finely woven with superior quality wool and will definitely give a royal touch to your home.